Model: The ZTE Grand S3 is a simple Android Smartphone with an ingenious new feature named EyeVerify. As the name indicates, it is a biometric scanner which scans the user's eyes to unlock the phone. This phone is targeted at business users and the features including a dedicated document viewer and photo and video editor are for professional use. The design of the phone is a simple candy bar design with a thickness of 9.8 mm. It features a large 5.5 inch display with a resolution of 1080 x 1920 pixels capable of displaying 16 M colors. The CPU onboard is a 2.5 GHz Quad Core Snapdragon 801 processor with 3 GB of RAM. With these specifications, multitasking on this Android 4.4 Smartphone should be smooth. The internal memory is 16 GB and the memory capacity can be expanded by up to 64 GB with a microSD card. The fairly large 3100 mAh battery could last an entire working day with a full charge. 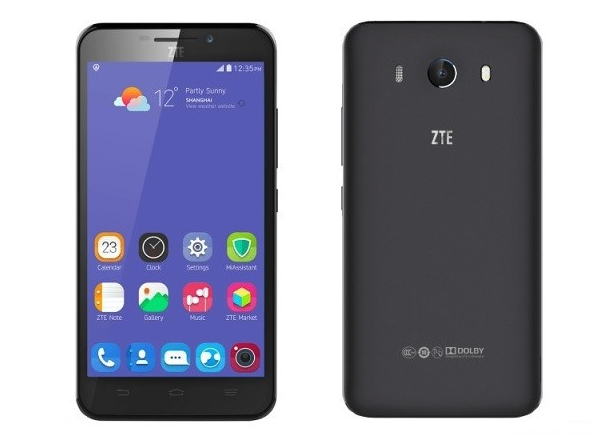 The ZTE Grand S3 has a 16 MP rear camera with face detection and a front facing camera with 8 MP. The video recording capability is a remarkable 2160p at 30 fps for its rear camera and 1080p at 30fps for its front facing camera. In terms of network capabilities, LTE is supported for this ZTE model. Having said all that, this device is ideal for those who are interested in trying out the new eye scanner and the high definition camera.